If SafeNet second level authentication/Deepnet or DualShield Unified Authentication is enabled, logging in to the Parallels Remote Application Server Web Portal also requires second level authentication. Enter any four digit number in the OTP field. You'll use this number again later in the process. Enter your email address and then click on Send OTP. Log in to your email account and find the email from SafeNet containing your activation key, token serial, and application PIN, which you'll need to activate your SafeNet authentication. Log in with your domain credentials. Place the attached seed file in the same folder with the MobilePASS client. Enter the One-Time Password to log into the Terminal Server Connection. Download the MobilePASS client from the URL provided in the SafeNet email. 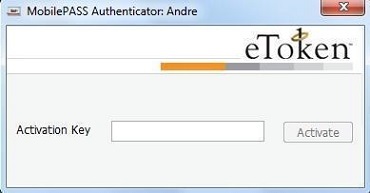 Enter the activation key found in the email. Enter the application PIN found in the email in the MobilePASS PIN field. Click Generate and then Copy. 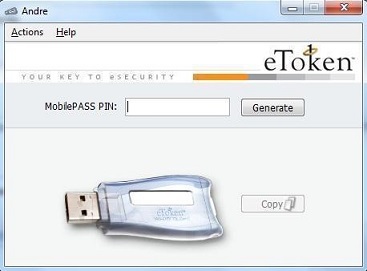 Combine the OTP PIN and eToken in this order: OTP + eToken. 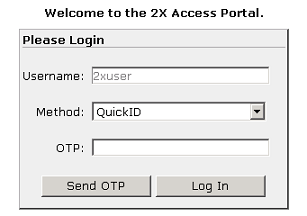 Enter this value into the Parallels RDP Client and click OK to log in.